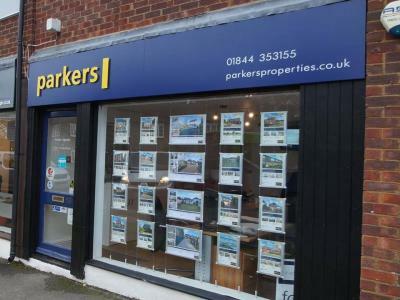 Parkers Chinnor is an independently owned family estate agency franchise which has been serving Chinnor and the surrounding area for over 25 years. Jayson Wicks is the owner and Director of Parkers Chinnor and brings with him a wealth of experience in selling and letting properties across country and city offices, most recently running a highly successful team in West London. Working alongside Jayson are family members Mark and Clare Griggs who have previously run the office since 1995. Parkers Chinnor have a team of experts who pride themselves on their knowledge of the area, ensuring the community is at the heart of what we do. We are passionate about property and proud of our local area, providing you with an unrivalled personal service. Our main areas of business are Residential Sales, Lettings and Property Management. For an honest, forward-thinking approach to marketing your home, please contact Jayson on 01844 353155 for a free valuation. Parkers have been an absolute dream! Nothing has been too much trouble, they are professional, efficient, helpful and very friendly. My property was sold within 48 hours of being on the market - smooth and seamless! Thank you all at Parkers. Great team. Extremely helpful in selling our house, and very god at chasing down the chain at some lesser on point agents. Kept us informed at every point. Cannot recommend them enough. We looked for a house in Chinnor for several months & have finally (subject to formalities) found somewhere. Estate agents often get a 'bad press' so it is only fair to say that our dealings with Parkers were excellent. Their communication & timekeeping were excellent. There openness & honesty regarding nearby planning was refreshing & saved us time & money. We saw many houses with them & have to say that Parkers pricing was on the whole very fair. I would not hesitate to recommend them to both buyers & sellers. We recently sold our house in Chinnor with Parkers and they are without a doubt the best estate agents we've dealt with to date. Jayson and his team are responsive, friendly and professional and we couldn't have asked for a nicer team or better service. I'd highly recommend Parkers for a seamless experience. 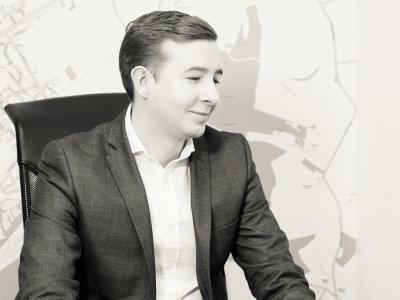 Jayson is the owner and Director of Parkers Chinnor and brings with him a wealth of experience in selling and letting property across Oxfordshire and London. His family members Mark and Clare previously ran the office since 1995 and he loves working in a village where the community is at the heart of our business. Jayson has been in the industry for over 8 years and is able to bring his experience of working in Thame and Chinnor and combine it with the dynamic and fast passed environment of estate agency in London. Prior to moving back to Parkers Jayson enjoyed a successful career with a leading Estate Agency in West London and was in charge of running their flagship office in Brook Green, West Kensington. He prides himself on getting the best results for his clients whilst keeping customer service and the community at the top of his priorities. Joni has lived in Chinnor for 15 years and has two children who attend Mill Lane Primary School, of which she is the co-chair of the PTA. During her time in the village she's been involved in a number of groups and committees within the community. She currently works on the Chinnor Parish Pump, the local free parish magazine, Joni hopes this local knowledge will be invaluable at Parkers. On a professional note, she has over 20 years' experience in sales and administration and has worked for a number of different companies in a variety of sectors. She prides herself on her professionalism and her ability to communicate with customers both face to face and on the telephone. Charlie has grown up in the area and has a longstanding heritage in the village with his Grandparents running the local hardware store 'Nicholls Hardware.' He has a keen interest in the community and prides himself in offering the best customer service for our clients here at Parkers. Charlie went to Lord Williams School in Thame and joined the property industry after working as a team leader at Waitrose. 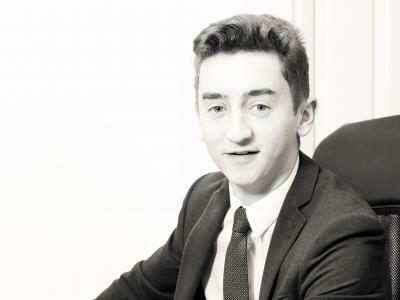 He has combined his passion for property along with his customer service skills and is currently training towards being a Sales Consultant at Parkers. Carol works at Parkers on Saturday whilst enjoying a busy full time job at Lord Williams School during the week. Carol has an unrivalled knowledge of the area, she grew up in Chinnor and now enjoys living in the village with her daughter Emily. Carol is able to offer personal advise on the local area including Schools, Restaurants and things to do in the area. All of which are valuable tools when searching for your next home. If you are in the area on a Saturday looking for advise on Chinnor, pop in and say hello! 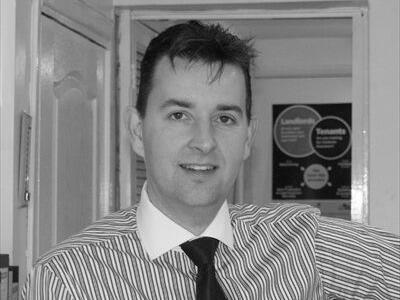 Mark has enjoyed a highly successful career at Parkers Chinnor having run the business since 1995. Mark has gained a reputation of being an honest, reliable and a true expert on the local property market. If you have sold your house in the last 25 years there's a good chance Mark would have been involved in the process! Mark lives in Bledlow Ridge and enjoys spending time with his wife Clare and there 5 Bearded Collies. 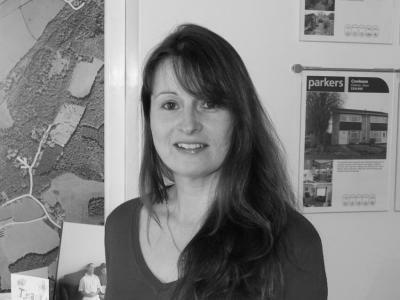 Clare works in the rental side of the business and has been involved with Parkers Chinnor for many years. 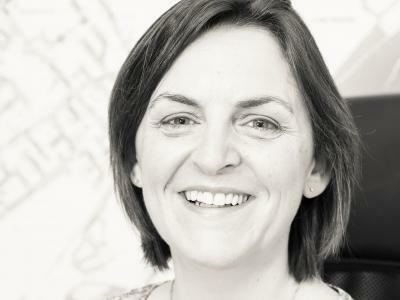 Clare has an unrivalled knowledge of the private rental sector having previously worked for the housing sector of High Wycombe District council. 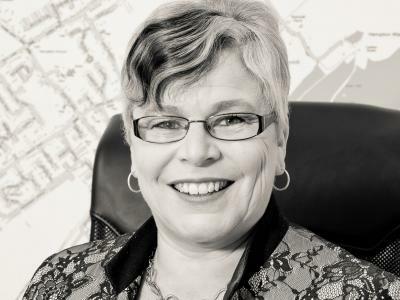 Clare deals with the day to day running's of the lettings business working alongside Jayson to ensure Landlords and Tenants are compliant and happy living in their homes. Clare also enjoys spending time in the countryside with her husband Mark and 5 Bearded Collies.